I can’t believe so much time has passed since my last post…WOW! I’m just back from a much needed vacation and trying to get back into the swing of things. It was nice to get away from the daily grind and give my poor, overworked brain a rest. We decided on a stay-cation and I loved every minute of it! 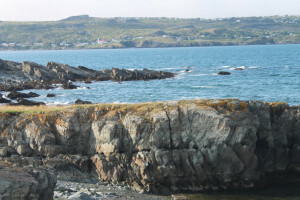 Anyone who has visited Newfoundland will tell you that it is beyond beautiful. Here’s one of my favorite photos taken on one of our outings.